A comprehensive school in North Hessia turned down a homeschooled student who had wanted to be accepted into graduating class. The very same school authorities then applied for punishing the boy for not going to school. A district judge has now ended the legal dispute on short notice. He wasn’t allowed to go to state school – as a consequence they wanted to punish him for not going there. 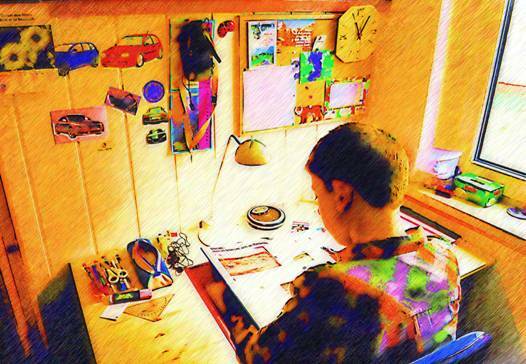 Homeschoolers in Germany have to live with despotism of the bureaucracy. A few days before the scheduled court hearing on Nov 19 the judge in charge closed the proceedings against a youth who had been accused of a minor offence. In this way the court circumvented a trial which could well have led to an investigation into the questionable behaviour by education bureucrats who had balked at accepting a student to their school beginning of the year. The court said that it didn’t think a punishment was appropriate because the youth could not have enforced his schooling at a conventional school against the will of his parents. The trial against the son of a homeschooling family in northern Hessia had been filed by the school authorities exactly one day after the student’s request to gain access to the final classe of a state school was officially denied. Before the negative answer the boy had been kept waiting for an answer for months. The authorities justified their action by saying that the then 15-year-old had been failing to go to school without an excuse – according to his age he was supposed to go to ninth grade. Contradicting this are other statements by the authorities in which they repeatedly have testified the boy’s maturity for tenth grade. The school in question denied him access to enter second semester of grade ten although he was able to prove nine and a half years of homeschooling. On the outside the school and the authorities argued that school law forbade a change of classes at such a late stage. But, as a matter of fact, in the last couple of years there have been four cases of students at that school who entered final class just a few months before exam, two of those being elder brothers of the defendant. Exchange of letters between the school and the authorities as well as other internal documents do reveal a further dimension to the official version: Teachers and the headmaster seem to have wanted to avert under all circumstances another homeschooler gaining a secondary school level I certificate without having been state schooled. In order to santify the refusal of the student educational authorities didn’t shrink back from false testimonies as far as alleged negative effects of that family’s homeschooling were concerned. The wish of state pedagogues and civil servants to dilute positive outcomes of home education also explains why the student had been offered to enter grade nine. Desiring to at least rudimentarily state educate him would have cost the boy one extra year at school, an offer he turned down. Instead he is continuing his studies at home to change into an extern phase of his education in spring 2013. It remains to be seen what kind of bureaucratic hurdles will be placed in front of him then.